How good are AI versant in you guys experience? Maybe it's just me, but i feel as if the current IBIS(es) use way to much flux for a PD weapon. Pretty sure only one ship transforms (wanzer something...It's a frigate, that much I remember!! ), there is a fighter that transforms too, but that one obviously can't be controlled directly. Oh...Hmm...I think F does that...? May be wrong, but that is what memory tells me. Yeah, the Versants ship system is the go fast mode that makes it transform. You need to hit F again to get back into combat mode, since you can't fire. Getting this when I try to use the DL link. Is it just me? Do you have an ad/script blocker? yeah, but I got last version just fine. I get a similar problem, but I'm running NoScript and uBlock. Turning both of them off before I click the download makes it download just fine. Disabled both my NOscript and adblocker, still get the same thing. Have you tried a different browser by any chance? For NoScript, you should see something pop up that says it filtered a cross-site scripting (XSS) attempt. 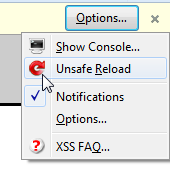 To the right of that message should be an options menu, you'll want to click unsafe reload and click yes. Ah that would be why then.